Here’s another of my last-day-of-the-month afterthoughts (a hybrid drawn from my writing and Quaker communities as a form for brief reflections on headlines, quotes, comments overheard, maybe even bumper stickers). Sometimes my “Bum Glue” (see Oct. 29 post) needs a little reinforcement. 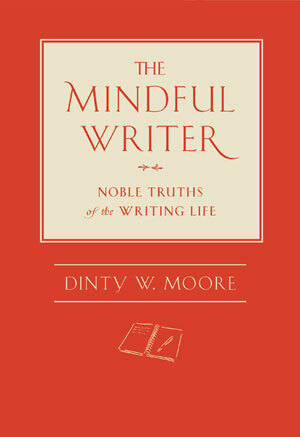 Today I turned to a new book by Dinty W. Moore, The Mindful Writer – Noble Truths of the Writing Life. Time to get back in my writing chair.